The NEMA boss who has been enmeshed in several scandals including arbitrary harassment and suspension of directors and massive redeployment of Account Staff is alleged to be engaged some bad practices in less than a year since his appointment in April 2017. The Director General was also alleged to have taken substantial amount of foreign currencies for official oversea trips without actually embarking on such trips or spending fewer days from the approved durations of the tours. Meanwhile the National Assembly through the House Committee on Emergency and Disaster Preparedness have uncovered over N5 billion contract scandal under the management of current DG NEMA Maihaja and lambasted him for spending over N400mn Demurrage on donated Chinese Rice.. Concerned on his maladministration and victimisation of staff, the lawmakers have ordered Maihaja and the Governing Board of NEMA to immediately recall the suspended Directors of the agency who were unfairly and unjustly treated for challenging his draconian disposition and unethical intents . 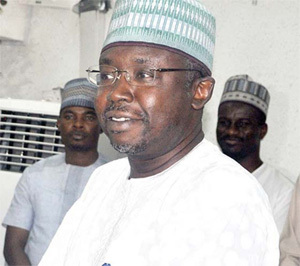 The post N5bn NEMA Fraud: Petitions trail NEMA DG Maihaja appeared first on Vanguard News.